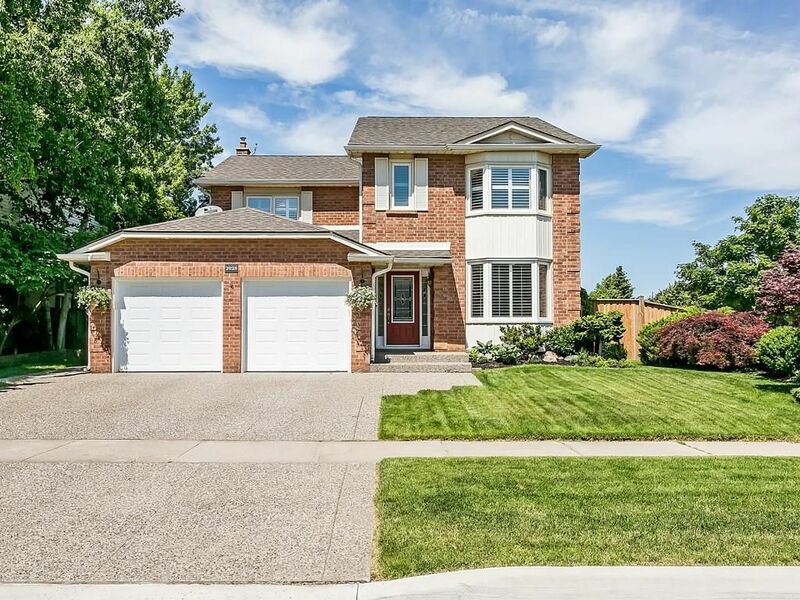 Gorgeous 4 bedroom family home in desirable Headon Forest community. Beautifully updated top to bottom inside and out. Recent upgrades include hardwood floors, hardwood staircase with iron spindles, gourmet eat-in kitchen featuring stainless steel appliances, granite countertops, large center island, marble backplash, all bathrooms featuring granite countertops, heated floors in main and powder room and heated towel rack in ensuite bath, potlights, crown moulding, California shutters, tile flooring in foyer and laundry room, interior doors, fireplace surround and more! Fully landscaped featuring upgraded garage doors and front door, new fence, new concrete driveway, roof (2016), sprinkler system (2017), flagstone walkways, pond and shed. Perfect backyard for entertaining, puttering in the gardens or relaxing! Large finished basement with Tv area, pool table area, bar and lounging area. This home is meticulous and move in ready! Close to schools, shops and major highways.